The more resources you have and the more work you must do, the more difficult it is to have the right person working on the right tasks to keep projects on time, within budget and in line with your clients’ expectations. In fact, the proliferation of timelines, matrices and seemingly inevitable scheduling conflicts can be downright dizzying for a project manager. But don’t lose hope. Here are seven ways to get your projects back on track by revisiting the basics of creative resource management. Effective resource planning starts with knowing the creatives in your organization, how they work and what they can do. Create a resource pool that centralizes information on availability and projects. Compile a calendar of project deadlines and check for freelancers who may be available to help your internal team. Improve your resource forecasting by determining how long projects will take based on similar work that you completed previously. Organization is a key tenet of excellent resource management. 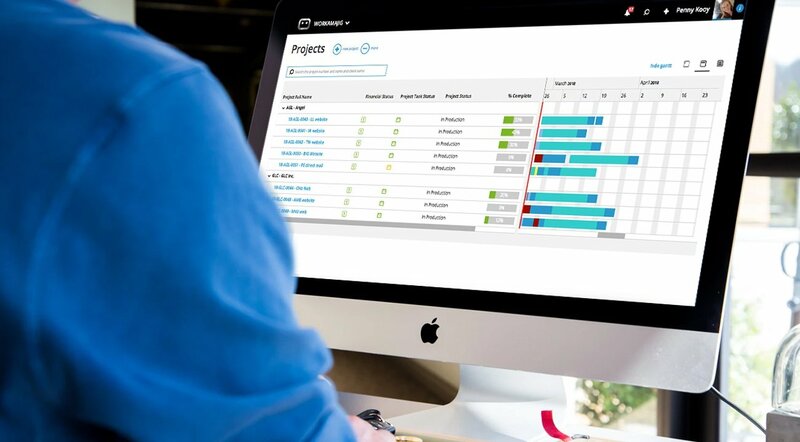 Produce realistic timelines and budgets for your projects based on the work required. Then, determine what resources you will need to complete each project on time and within budget by allocating creatives for each of the tasks involved. You may not be able to assign team members yet but you should at least identify resources by job function. Submit requests for resources formally if necessary but arrange for the involvement of particular team members informally at a minimum to get the right creative resource. Optimize a resource’s usage by allowing enough time for them to get up to speed but not so much time that they are waiting idly for their portion of the project to begin. Escalate your requests to higher management if needed to ensure that you get the right resource at the right time. Clear, consistent communication helps you keep your team on track. Clarify your expectations for deadlines and quality, then confirm that each creative understands them individually and that your team’s efforts are aligned holistically. Hold each team member responsible for meeting their deadlines so that they can rotate to other projects as planned and that you can pull in other resources that have been assigned to the next task(s) as scheduled. Encourage compliance with schedules by recognizing creatives for their efforts and rewarding their performances when appropriate. Manage workloads with resource management software that shows you who is working on what at any given moment. Forecast and reforecast project resource actuals and projections at least weekly to ensure that you use resources where and when they are needed. If one project is behind and another ahead, shift resources from the latter to the former whenever possible so that all of your work stays on track. Monitor capacity tracking reports so that you can maintain an adequate—but not excessive—supply of resources to satisfy demand. Integrated project management software can save you time by tracking time spent and simplifying the preparation and processing of timesheets. You can also identify available resources at a glance and free up time for creative resource management by streamlining and automating processes like managing tasks in progress and obtaining client feedback and approval. Even the best-laid plans for creative resource management go awry. You could find yourself short-staffed due to unexpected absences, unanticipated work or tasks that take longer than expected to complete. Protect against possible problems by developing a backup plan. Knowing who is working on what and when is essential for keeping your projects on schedule. When creative resource management gets complicated, get your projects back on track by getting back to the basics of creative resource management.